Just before Christmas, I stumbled across an article about the hottest new kitchen appliance – invented in Canada, no less. 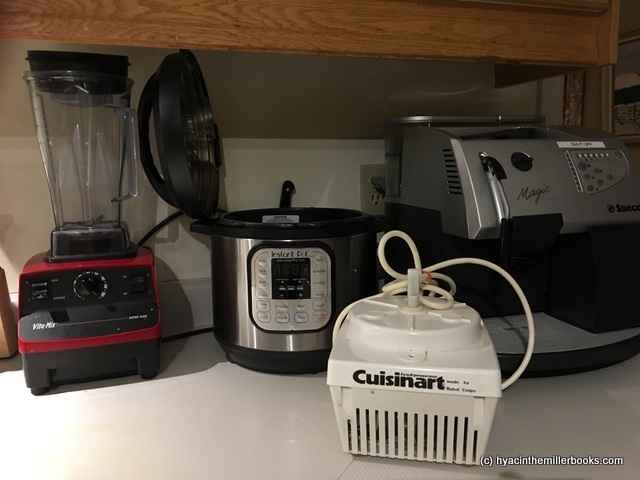 I’m talking about the Instant Pot (the ‘IP’) – an electric pressure cooker than is promoted as having half a dozen other functions. Having been fooled by claims from more stupid gadgets than I care to remember, I was skeptical. Go to Value Village or the Salvation Army store and you’ll see shelf upon shelf of failed labour-savers – banana savers, microwave boiled egg cookers, asparagus peelers, the potato-chip shooter, or anything advertised on late-night TV. Remember Ron Popeil (spray on hair) and Ronco products (miracle broom, electric egg scrambler)? 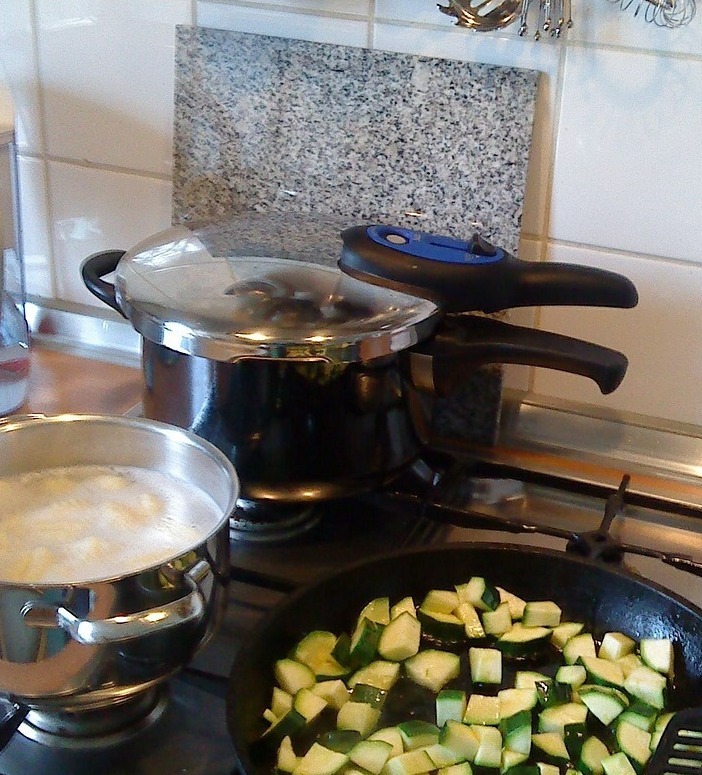 For decades, I’ve been using a series of manual pressure cookers. You know, you fill them up, attach the lid, turn the stove to high and listen to the ear-splitting hiss once it reaches pressure. Then you have to run cold water over it before you can open the lid. And the whole process takes forever, the pot spews stuff from the vent onto the stove top and the house smells for hours of whatever you had in the pot? Useful, but a PITA. Well, I did my research and discovered that there are numerous Facebook groups of rabid fans and recipe producers. We’re talking tens of thousands of men and women raving about what can be done with an IP (that’s what we call the metal marvel). Of course, I ordered one. And joined half a dozen groups. My IP arrived just before Christmas and joined my three other indispensable workhorses: the Cuisinart my mother gave me on my 40th birthday, the six-year old red VitaMix machine that replaced a metal one I had for 22 years, and our Saeco coffee machine that has done yeoman service for over 10 years and has spoiled me for any other type of brew. No, I don’t have them all jammed up in one spot on the counter, but they are in plain view because I use all of them practically every day. I got to work. First, boiled eggs. 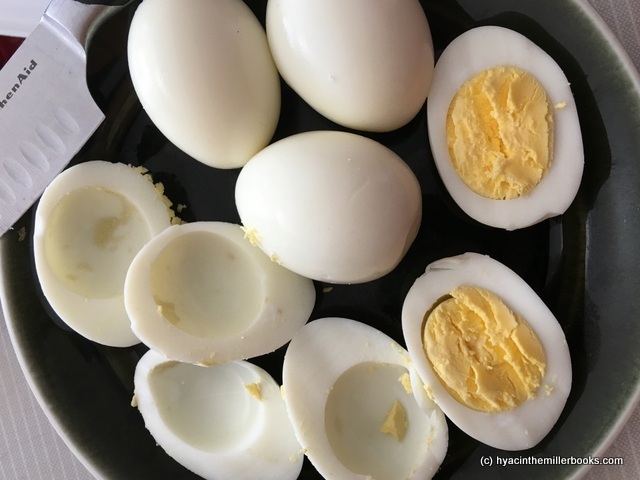 The story was that 5 minutes high pressure, 5 minutes natural release then chilling in an ice-water bath produced eggs that peeled like a dream. Having mutilated dozens of eggs in my quest for perfectly formed deviled eggs, I didn’t believe it. Until, of course, every egg I tossed into the pot came out – perfect. Okay. Eggs are easy. Next up – cheesecake. 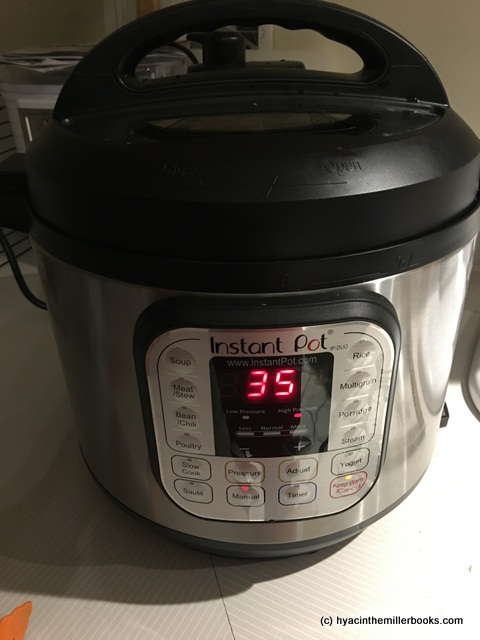 My go-to guru for the Instant Pot is a woman named Jill who has a website called This Old Gal. Don’t know why it’s called that because she looks to be middle aged. I was totally unconvinced but dutifully followed the recipe, adding a handful of chocolate chips, placing the cake pan on a trivet over 1 1/2 cups of water. Good grief. 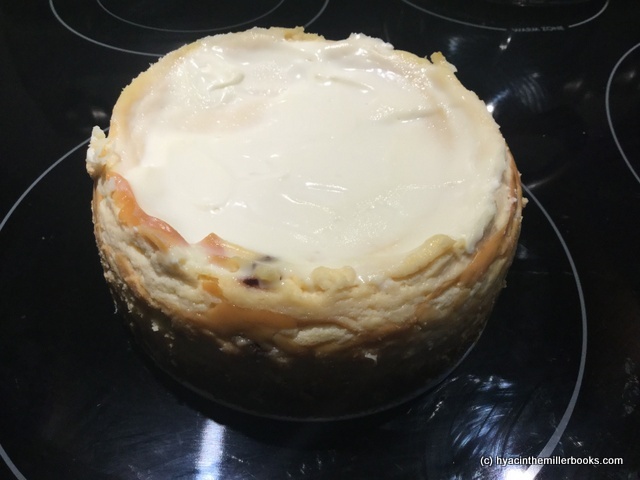 After 38 minutes at high pressure and an 18 minute natural release, I popped open the lid and took out a tall, slightly wobbly cheesecake that I slathered with a mixture of sour cream and sugar then cooled for a few hours in the fridge. When I released the sides of the spring form pan, I stared at my creation. It looked beautiful and I was cautiously optimistic that it wouldn’t be disgusting inside. The results? Let’s just say that little cake didn’t survive for more than three days. It was unbelievably moist, with great taste and texture. No more drippy boiling water baths in the oven. No more sunken middles and burned edges. A.M.A.Z.I.N.G. Truth in advertising? Absolutely. But that was just the beginning….